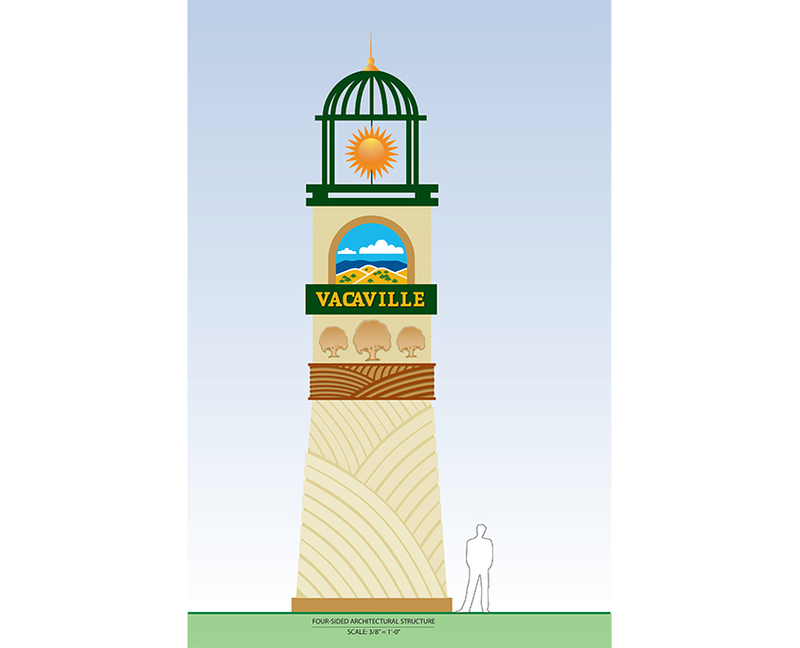 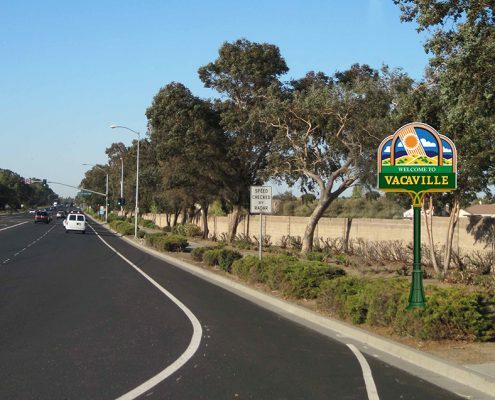 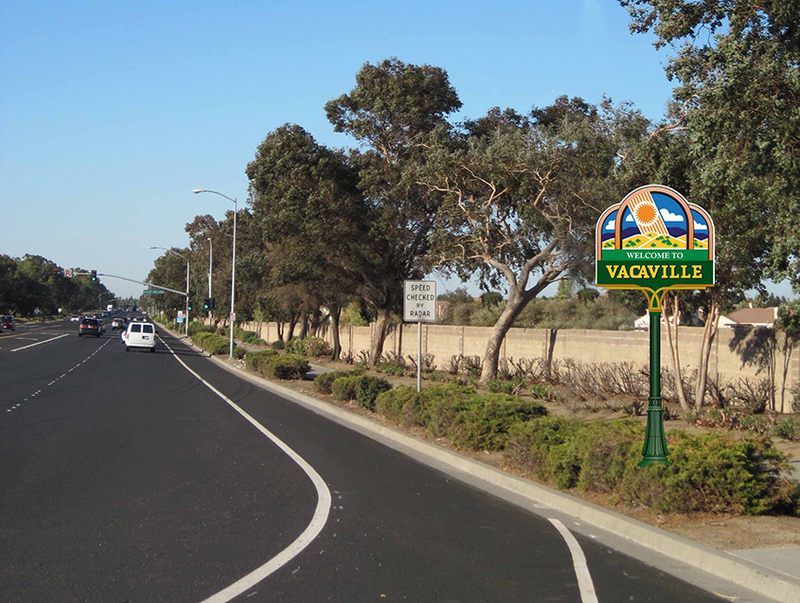 Located midway between San Francisco and Sacramento, Vacaville has a rich agricultural history and was once known as the fresh fruit capital of the United States. 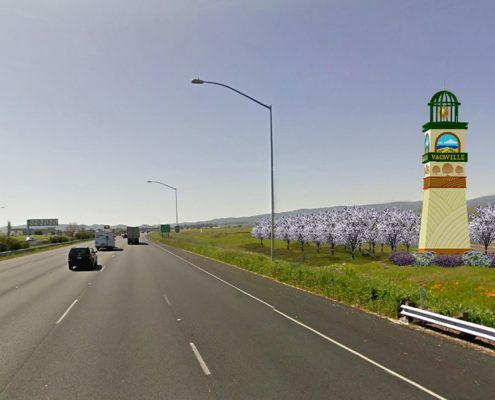 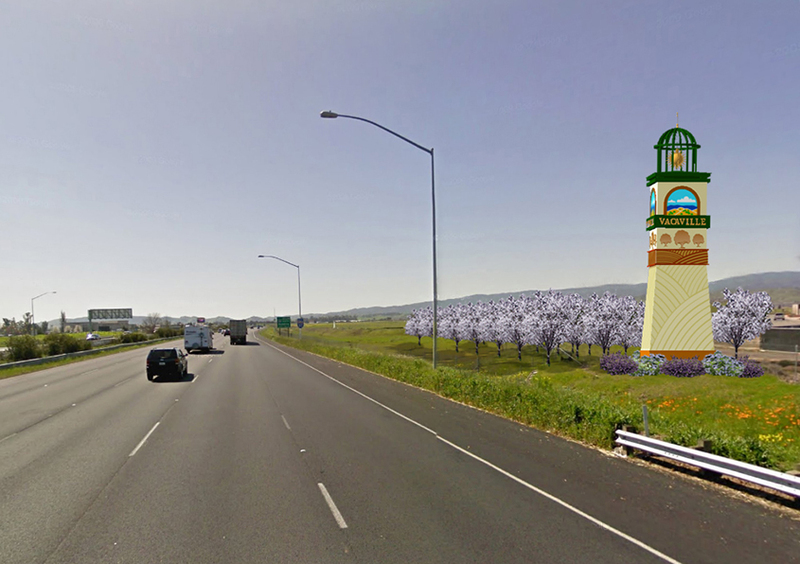 In 1921, a roadside fruit stand was established as an oasis for travelers on U.S. Route 40, now I-80. 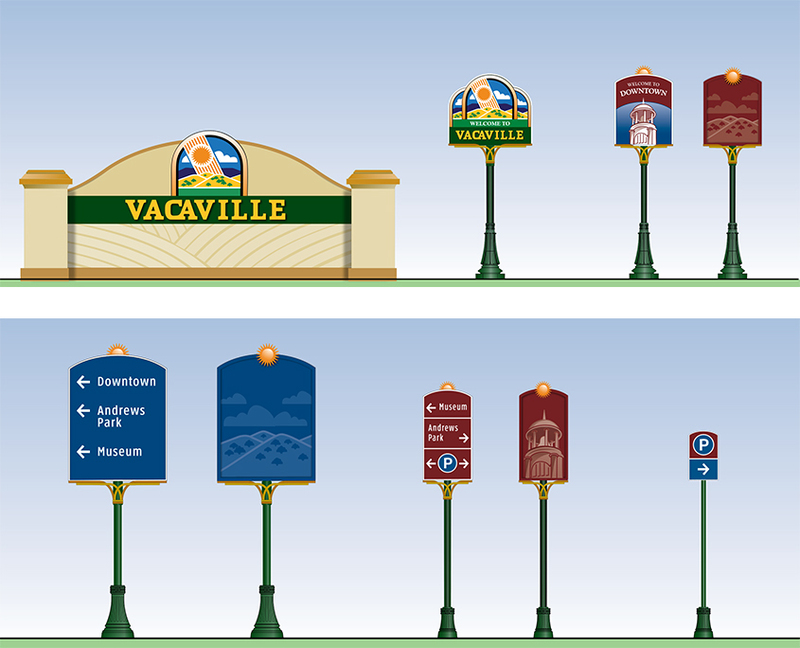 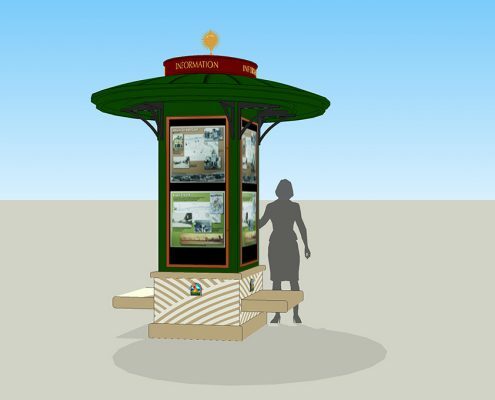 By the 1950s, the Nut Tree stand had become a restaurant complex and this image served as the inspiration for business and community graphics developed by Don Birrell between 1953 and 1990. 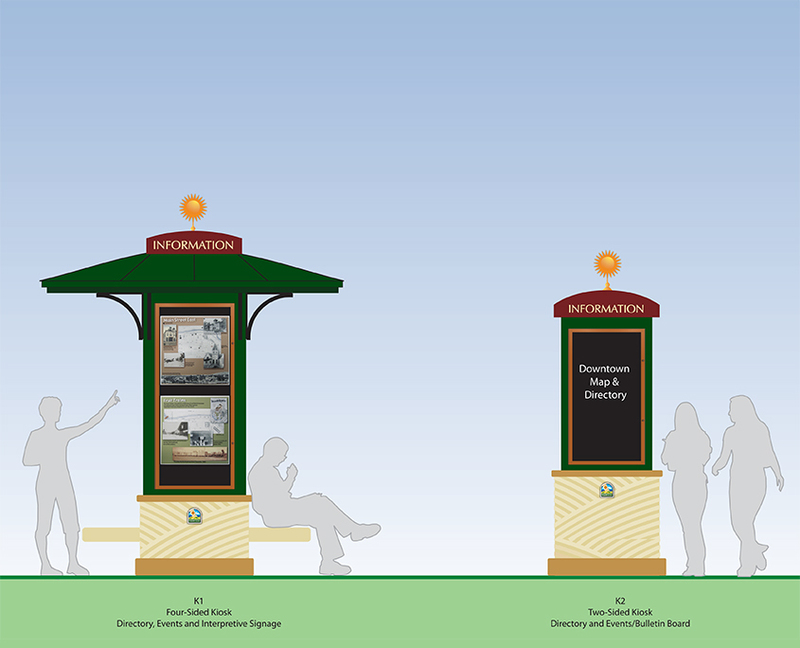 Using the Birrell-designed City logo (shown to the left) as a basis, Frazier Associates created both traditional and contemporary schematic options for directing visitors and residents to attractions in the community, including retail, art, dining, and entertainment venues. 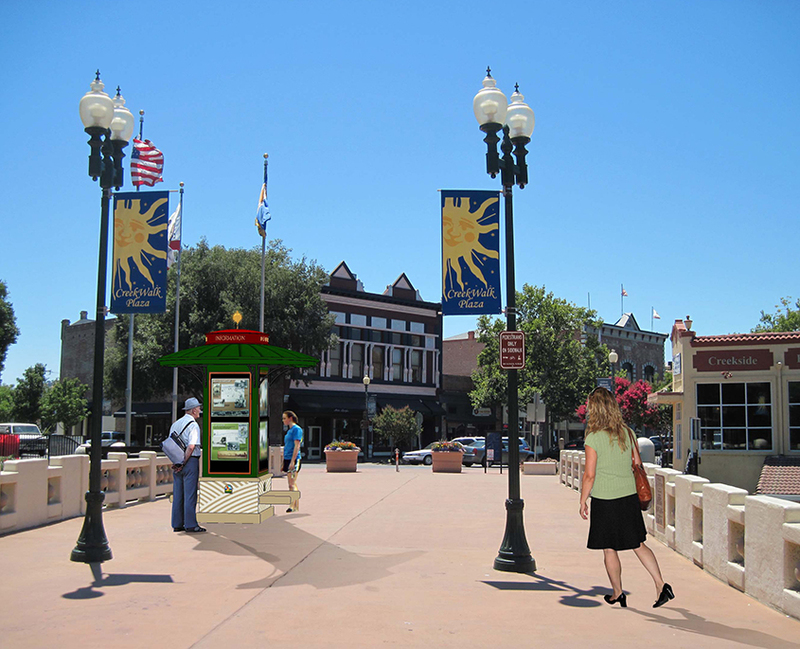 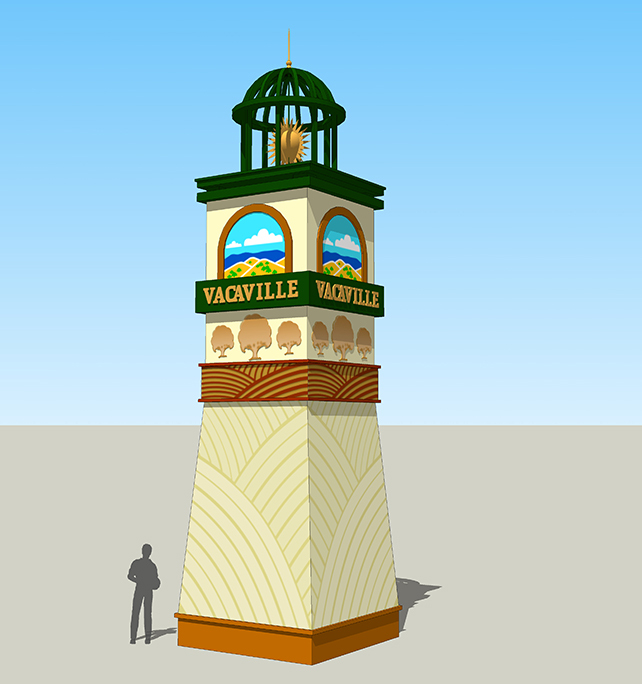 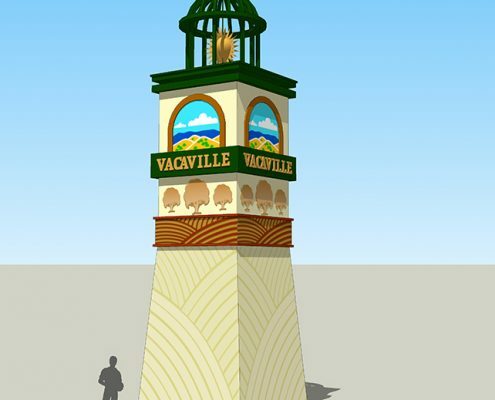 Both schemes used vibrant colors and images, including the signature radiant sun and town bell tower, to reflect of the character of the community.